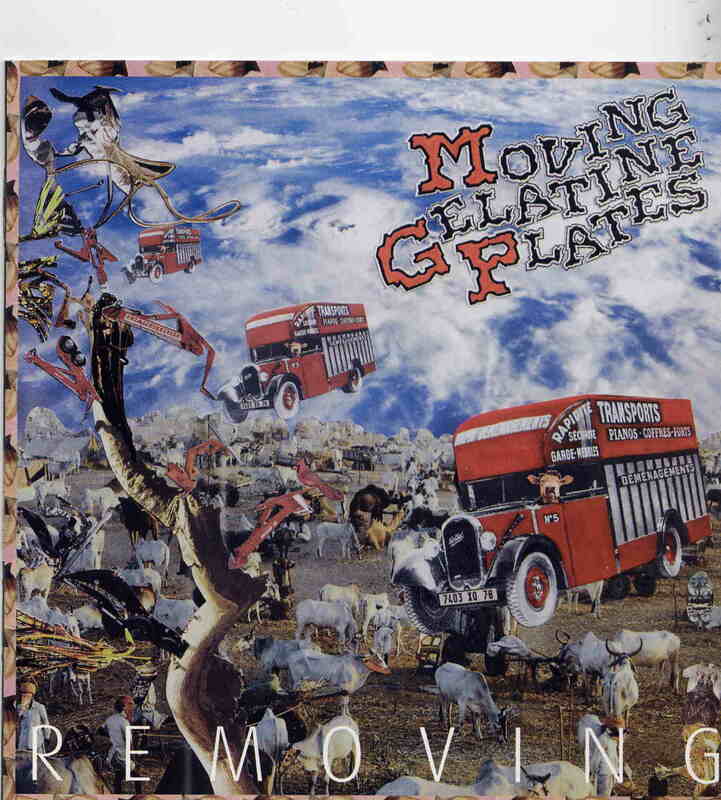 Active in the early 70s, Moving Gelatine Plates released two excellent albums of jazz-inflected progressive rock before disappearing into the mists of oblivion. Though French, the group owes far more to the English Canterbury scene of the late 60s than to anything that was then extant in France, though slight comparisons could be made to Magma and Gong. Removing comes nearly 35 years after the group’s initial recordings and is a surprisingly excellent return to form: a kind of symphonic jazz-rock with a progressive chaser. Like Soft machine in its glory period MGP’s forte is a fusion of jazz and rock that is experimental yet accessible, perhaps because the group is wonderfully adept at creating melodic themes amid the intricate arrangements and complicated rhythms that form a significant part of the group’s music. Thus the forbidding diminished 6th interval of the fuzz bass that serves as the groundwork for the opening title track is ingeniously offset by the intoxicatingly beautiful horn melodies that simply overwhelm the rhythmic basis of the song. In fact, many of the pieces on Removing display this polymorphous attitude rhythm, harmony and melody. “Like a Flower” features a fairly conventional rhythmic sub-structure that gradually develops into a refined tapestry of horns, violin and guitar all competing with one another for melodic dominance. But the effect, after all, turns out to be complimentary rather than competitive. The group is most effective at instrumentals, though they certainly don’t disgrace themselves on the three tracks that feature bassist Didier Thibault’s vocals, particularly the rhapsodic “Breakdown” with its sophisticated horn arrangements and the amazingly precise drumming of Eric Herve. The symphonic grandeur of “Waiting for the Rain” shows the band at the apex of its art rock chops, and though again the horns carry the main melodic emphasis, some extraordinary synthesizer work by Stéphane Lemaire and Maxime Goetz’ restrained guitar provide much of the song’s drive and energy. Though comebacks usually fall well short of expectations, Removing is undoubtedly an exception to the rule. It’s a striking return to form, as impressive in its own way as the group’s now classic first two albums.